California’s building code is updated every three years. Several state agencies contribute to the code change, which the Building Standards Commission adopts. It is the responsibility of building officials in cities and counties to understand that code and ensure it is followed when a new home or building is being constructed. The officials must become experts on fire, plumbing, electrical, and energy codes. To understand each section of code, the California Building Officials (CALBO) Association partners with nonprofits and state agencies, such as the California Energy Commission, to assist in training. The Energy Commission is responsible for the Building Energy Efficiency Standards. The agency also assists in education and training to understand this section of the code. Christopher Olvera, outreach and education supervisor for the Energy Commission’s Efficiency Division, was named CALBO’s educator of the year. According to the association, the award is given to a nominee who seeks to educate the current and next generation of code officials. 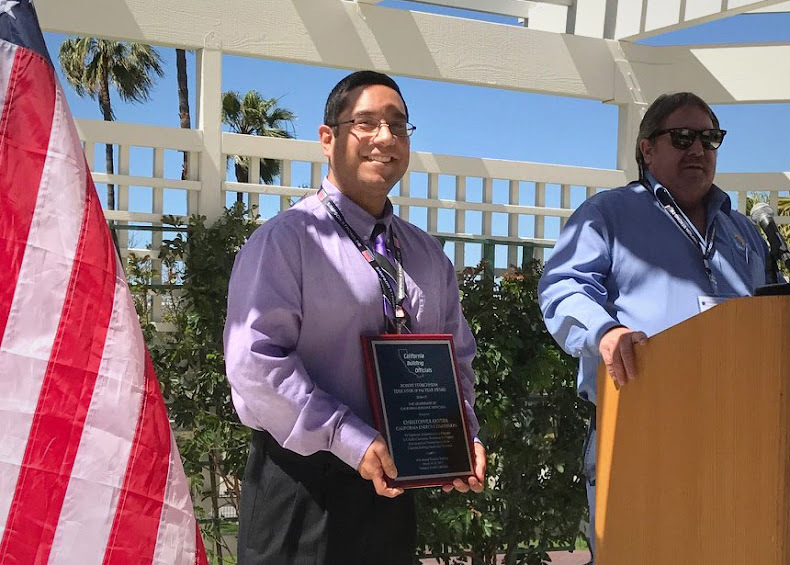 “Olvera is a familiar face within the CALBO community, understanding both sides of the energy conversation,” the award announcement stated. Olvera’s team has worked on developing a range of resources to help make the complex energy efficiency standards easier to understand. The Energy Commission’s online resource center has training materials for specific sections of the energy efficiency standards. Olvera’s team has developed tools, presentations and resources to support enforcement agencies’ verification of compliance. There is a fully-staffed hotline to help with specific situations. The Efficiency Division’s outreach and education unit also sends Blueprint, a quarterly newsletter, to stakeholders with important information, clarification and frequently asked questions. Building officials, contractors, architects and those with compliance questions can contact the Energy Commission’s Energy Standards Hotline toll-free at (800) 772-3300 or (916) 654-5106 or email title24@energy.ca.gov.